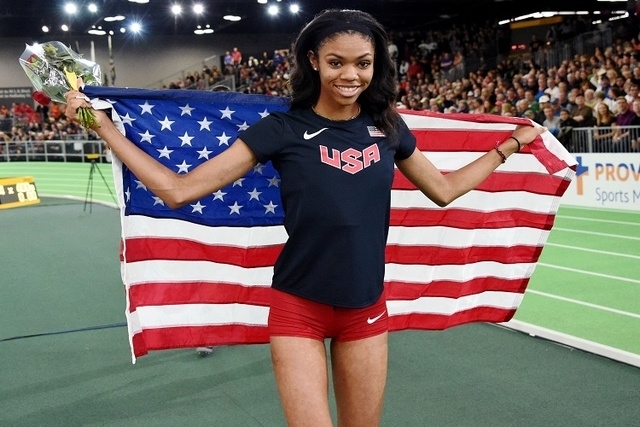 Vashti Cunningham, daughter of former NFL quarterback Randall Cunningham, became the youngest high jump champion ever at the world indoor track and field championships Sunday. 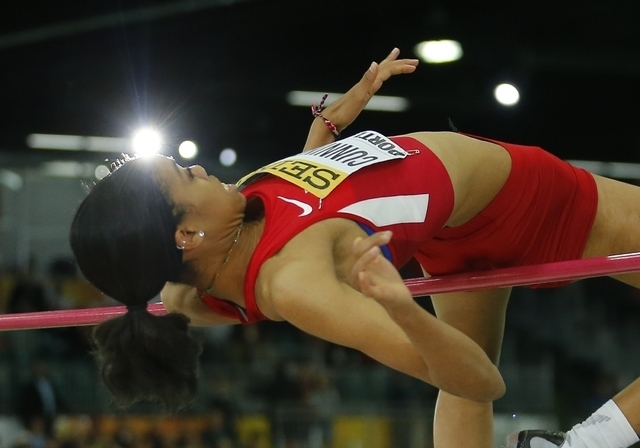 Teenage track and field sensation Vashti Cunningham continued her rapid rise Sunday, winning the gold medal in the women’s high jump at the International Association of Athletics Federations World Indoor Championships in Portland, Oregon. 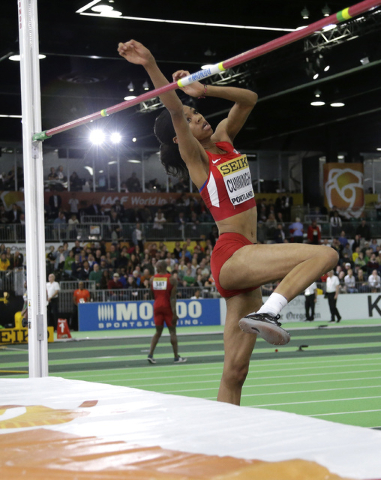 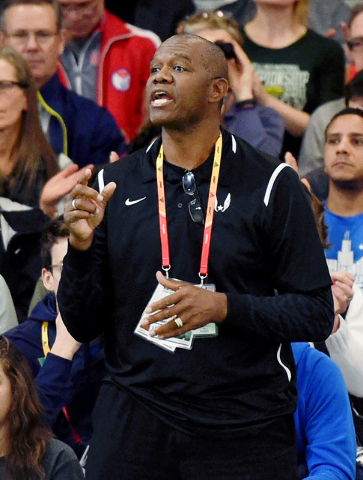 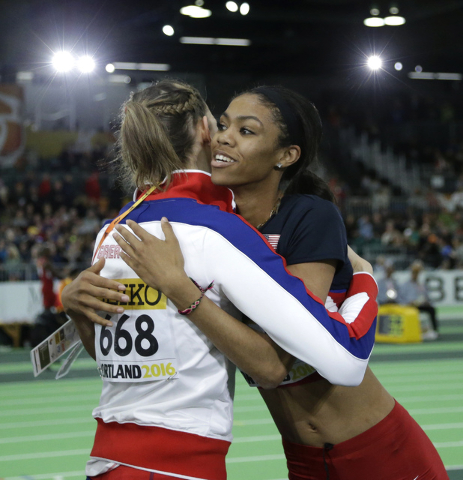 Cunningham, the daughter of former UNLV and NFL quarterback Randall Cunningham, cleared 6 feet, 5 inches (1.96 meters) to become the youngest woman ever to capture an IAAF world indoor title. 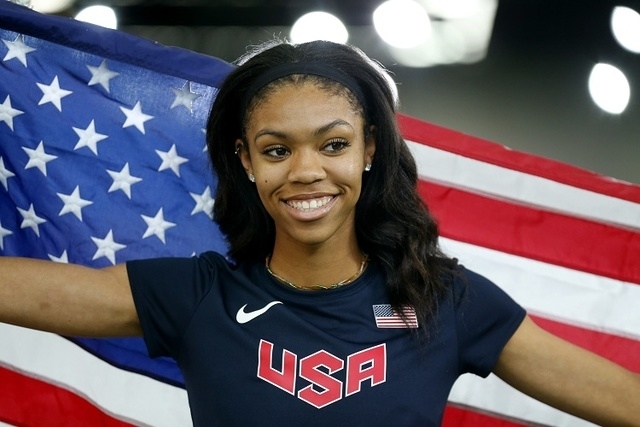 Afterward, the 18-year-old Bishop Gorman High School senior said in an interview with NBC Sports Network that she plans to turn professional in order to focus on qualifying for this summer’s Olympics in Rio de Janeiro. 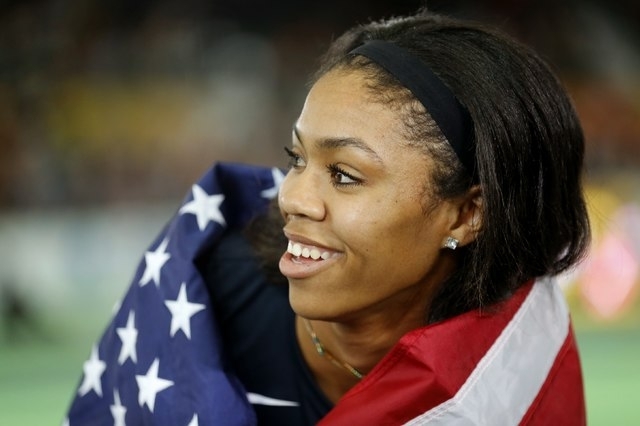 Cunningham later told reporters in the mixed zone she hopes to sign an endorsement contract with Nike. 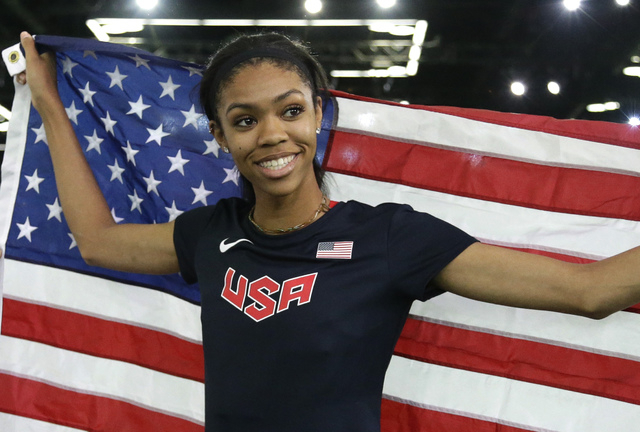 “I believe I’m going to be turning pro, so keep on the lookout for me (to announce something),” Cunningham said during an interview on the NBC Sports Network broadcast. 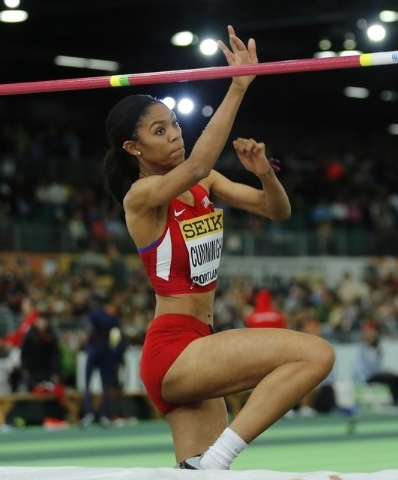 Cunningham posted the world’s best jump this season on March 12 to win the high jump at the USA Track and Field Indoor Championships in Portland. 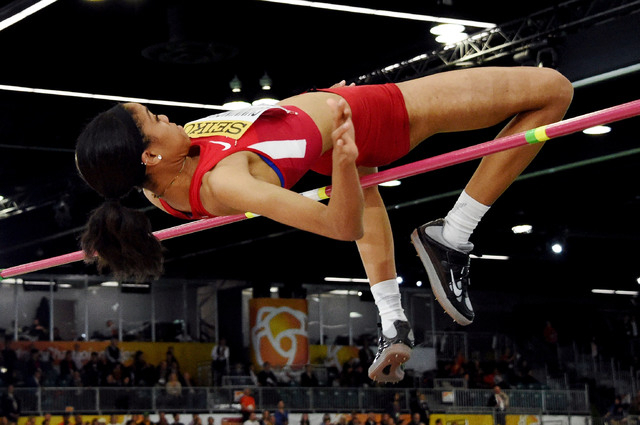 She didn’t have a qualifying mark for the World Indoors prior to the March 7 deadline but last week received a special invitation to compete Sunday, making her the youngest high jump finalist in the history of the event. 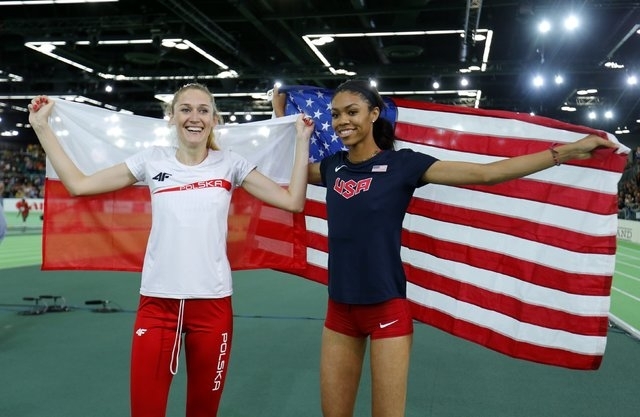 Cunningham, the lone American among the 11 finalists, was a crowd favorite and received a loud ovation when she was introduced at the Oregon Convention Center. 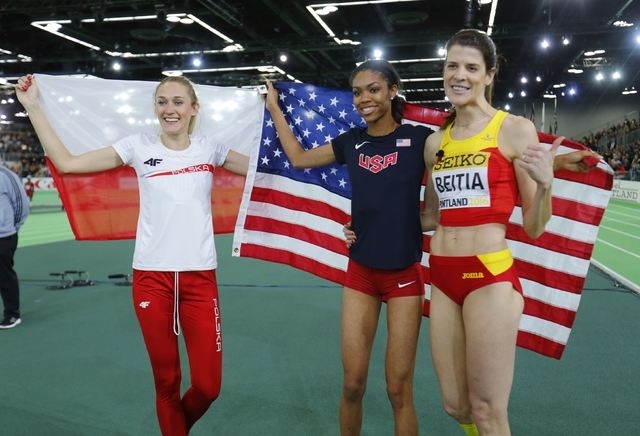 Cunningham was one of four women to surpass 1.96 meters, along with 36-year-old Ruth Beitia of Spain, Poland’s Kamila Licwinko and Lithuania’s Airine Palsyte. 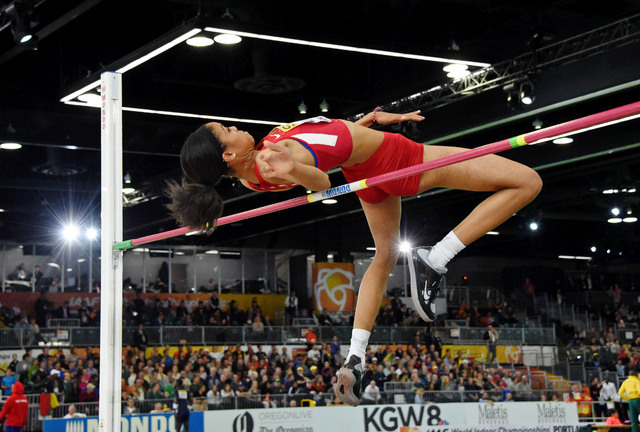 Cunningham was the lone competitor to clear the height on her first attempt and was awarded the gold medal by virtue of having fewer misses. 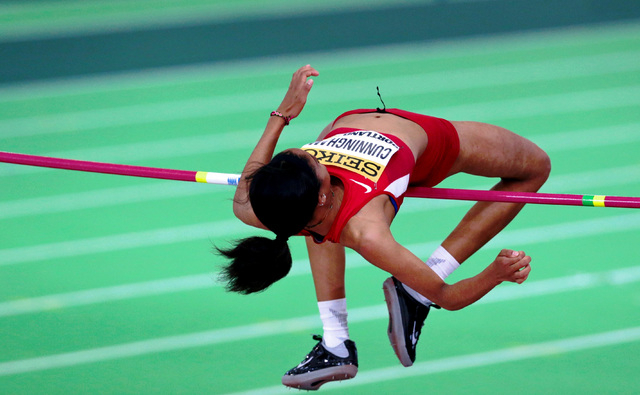 All four women were unsuccessful in their three attempts at 1.99 meters (6 feet, 6¼ inches). 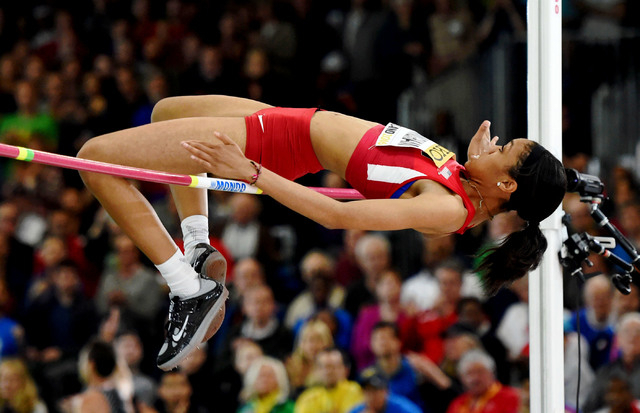 Beitia, a two-time European champion, finished second and Licwinko was third. 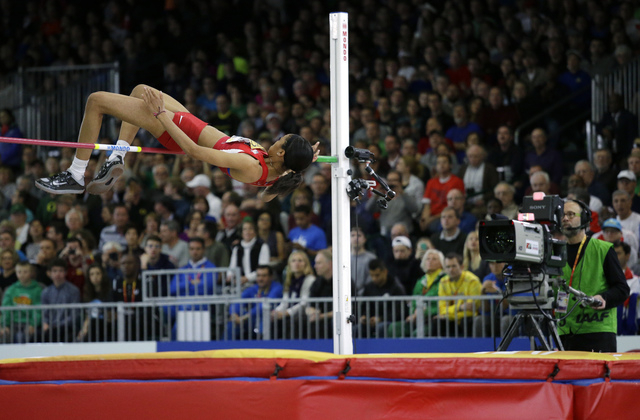 Cunningham’s winning jump was short of her record-setting performance at the U.S. indoor championships last weekend. 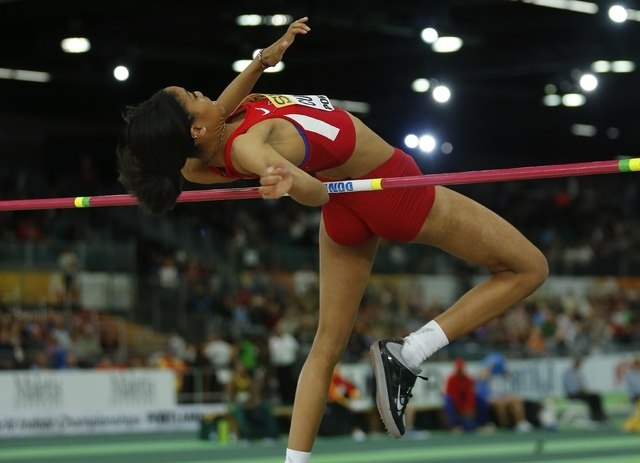 The 6-foot-1-inch standout soared over 1.99 meters to set the world junior indoor record, the U.S. junior record and national high school record. 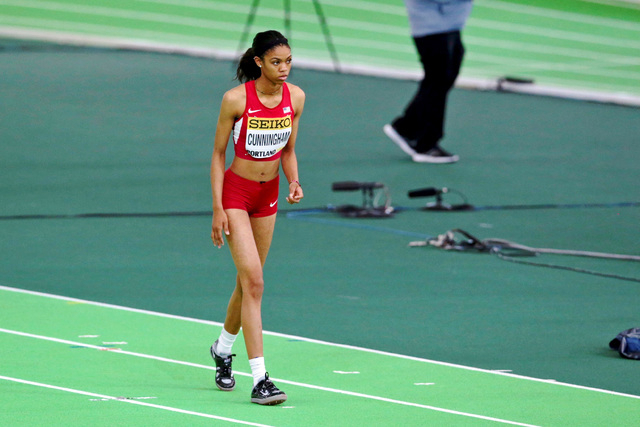 The World Indoors marked the first major international meet for Cunningham, who’s father and coach has opted not to rush her development. 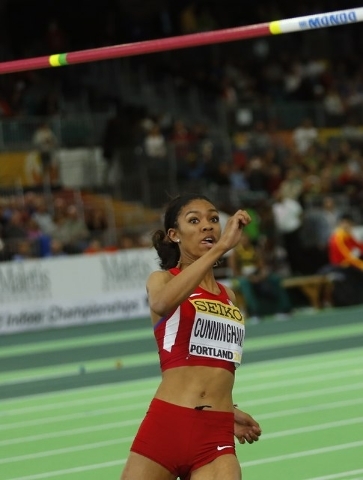 Cunningham did not compete against the top U.S. senior high jumpers in 2015 and instead went to the Pan-American Junior Championships, where she set the national high school outdoor record last summer at 6-5¼. 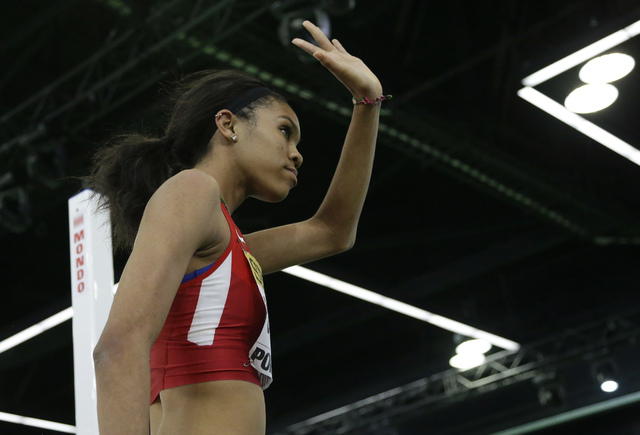 Cunningham said Monday she had narrowed her college choices to Georgia, Oregon and Southern California, but now will forgo her college eligibility. 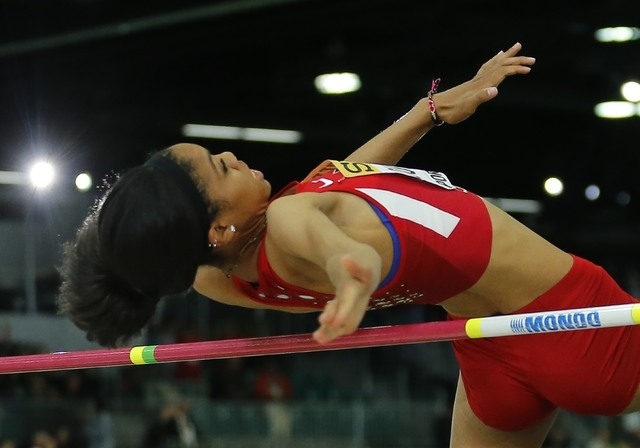 Cunningham told reporters in the mixed zone Sunday she was unsure of her schedule for the remainder of the spring when she turns pro. 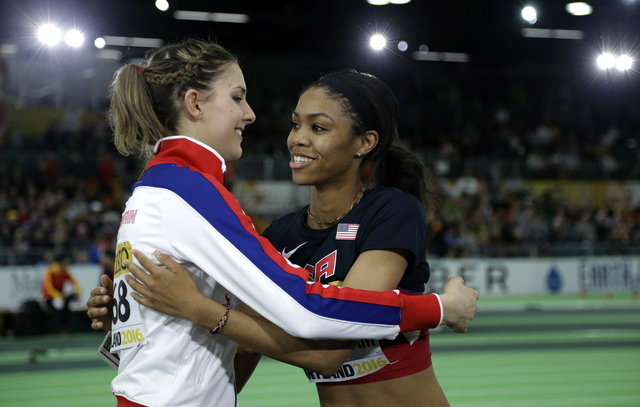 The Olympic track and field trials take place July 1 to 10 in Eugene, Ore.